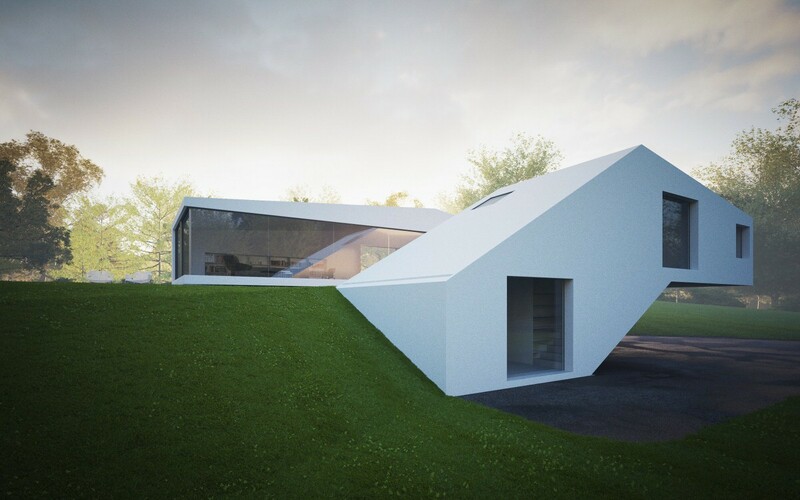 A unique concept house by design studio Penda, Gardenhouse is composed of a complex system of criss-crossing timbers. 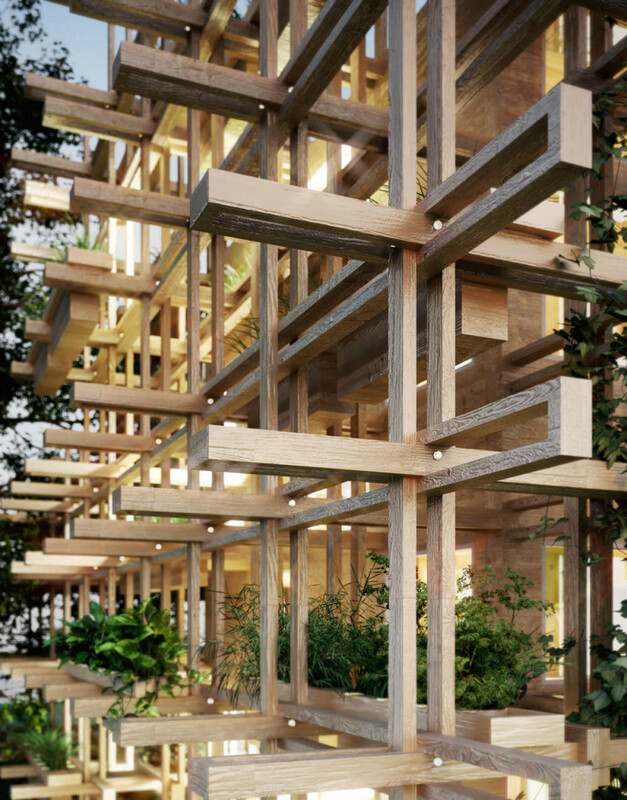 The horizontal ledges are able to accommodate planters allowing the entire exterior of the structure to be used as a garden. 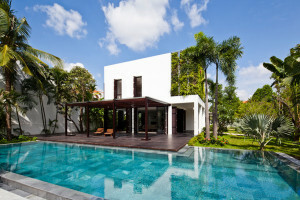 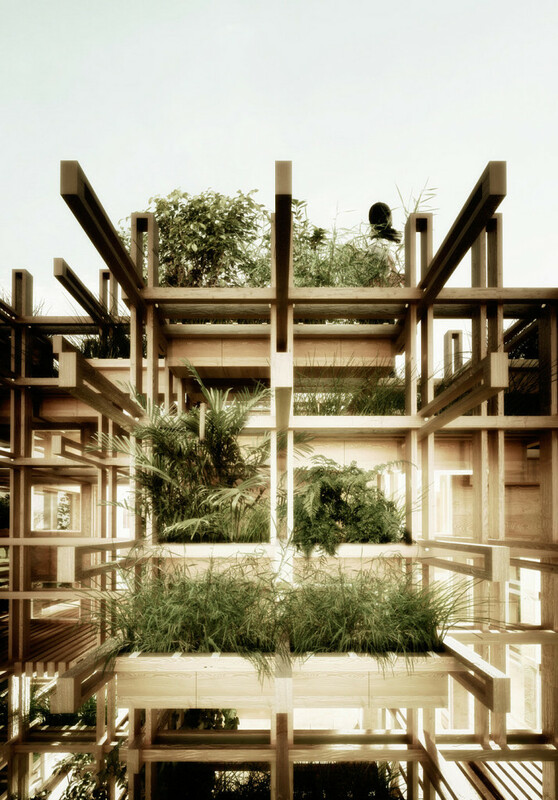 Nestled amongst these facades are a series of balconies while the roof of Gardenhouse also features a terrace. 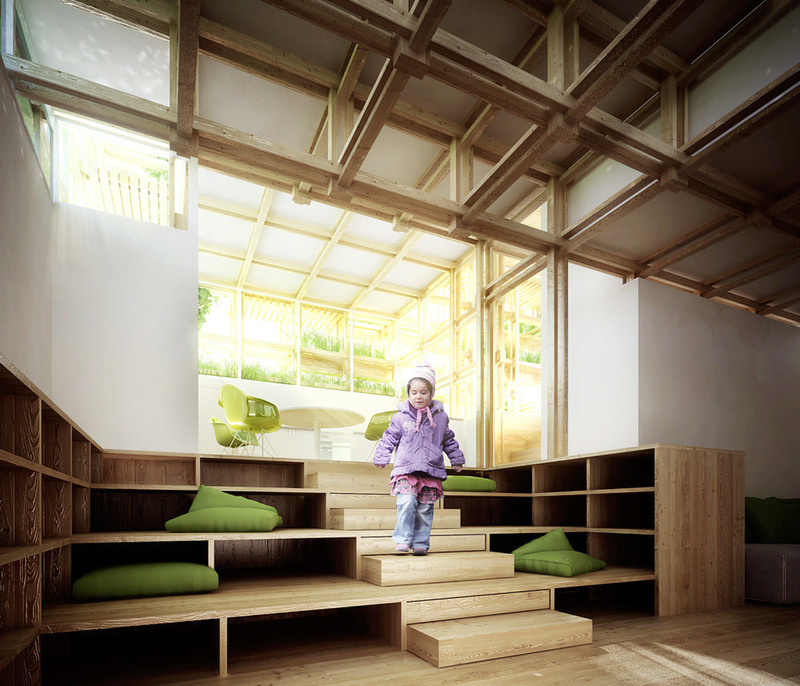 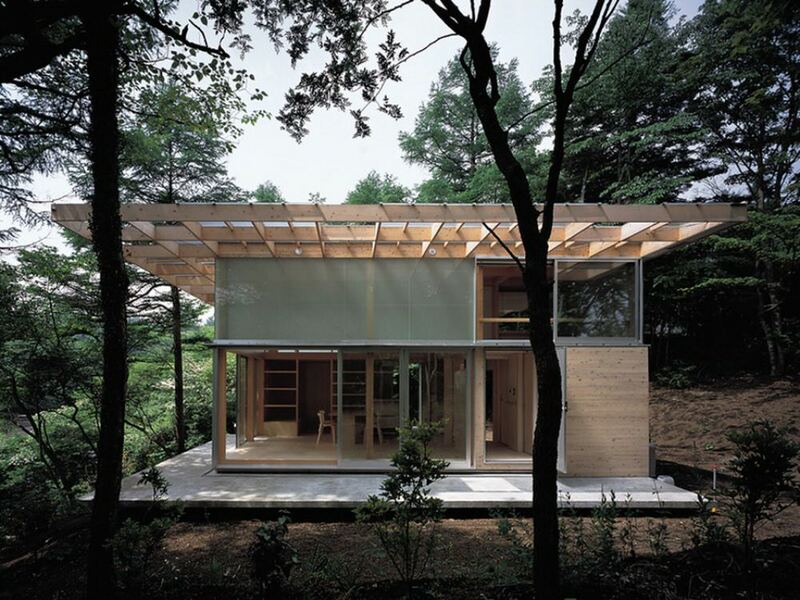 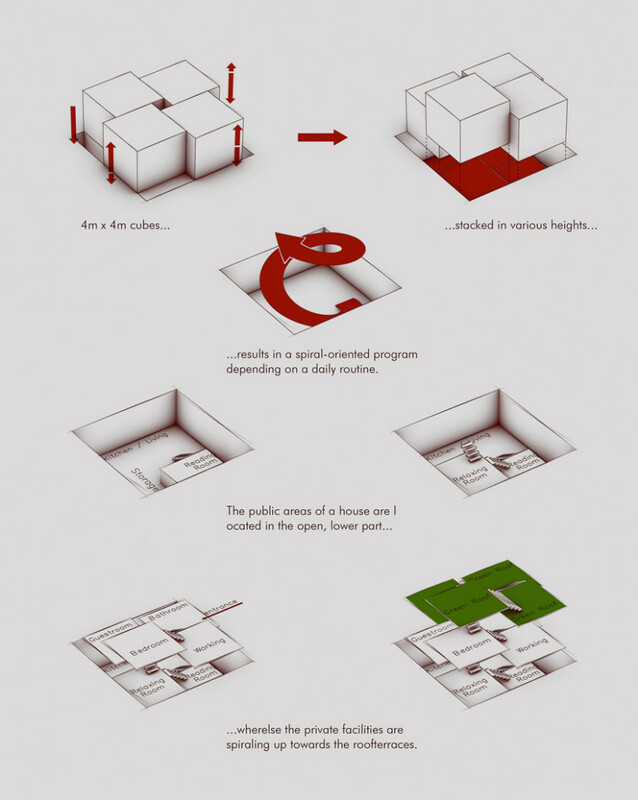 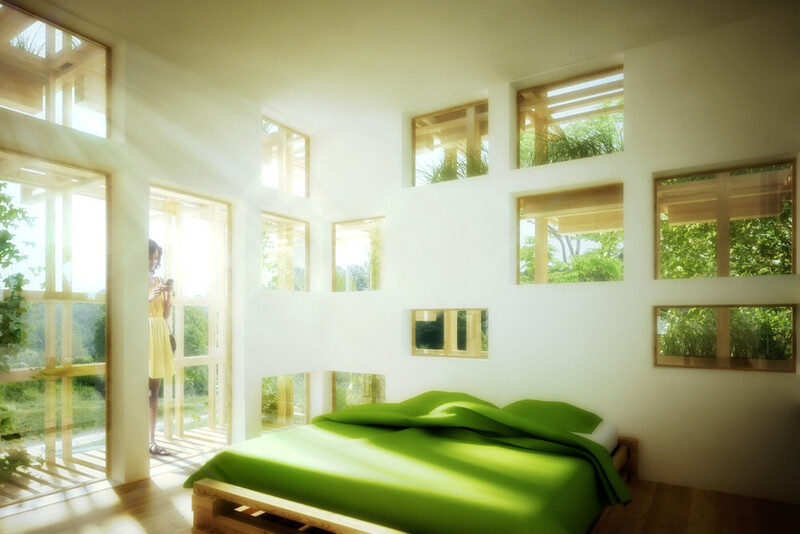 The largely cubic form of Gardenhouse in fact accommodates a much more complex series of internal spaces. 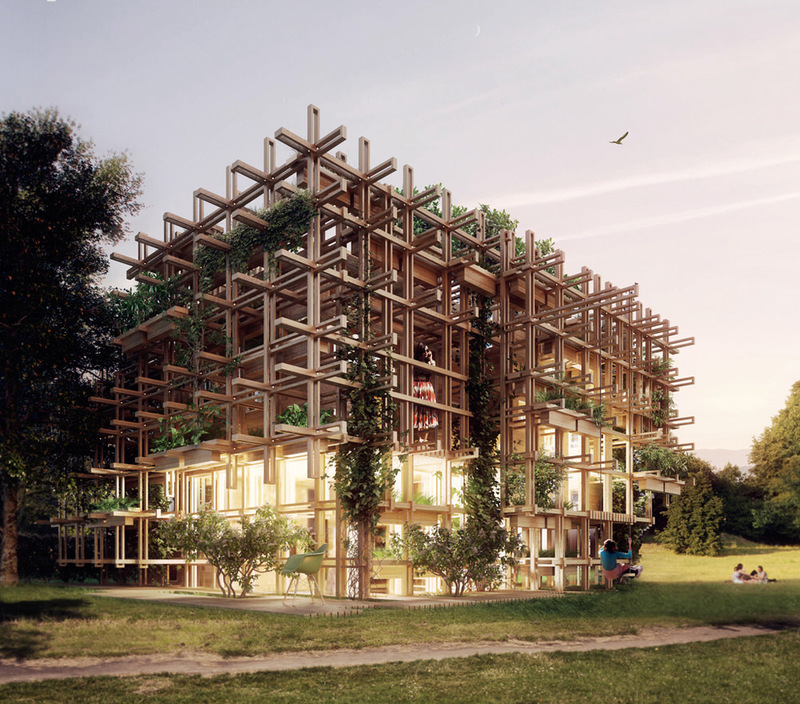 The interior is essentially designed around a spiral floor plan with a series of 4m x 4m cubes stacked in various heights. 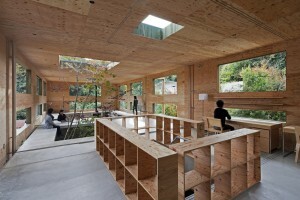 Public spaces such as the kitchen are to be found at the lower regions, while more private rooms are towards the top of Gardenhouse. 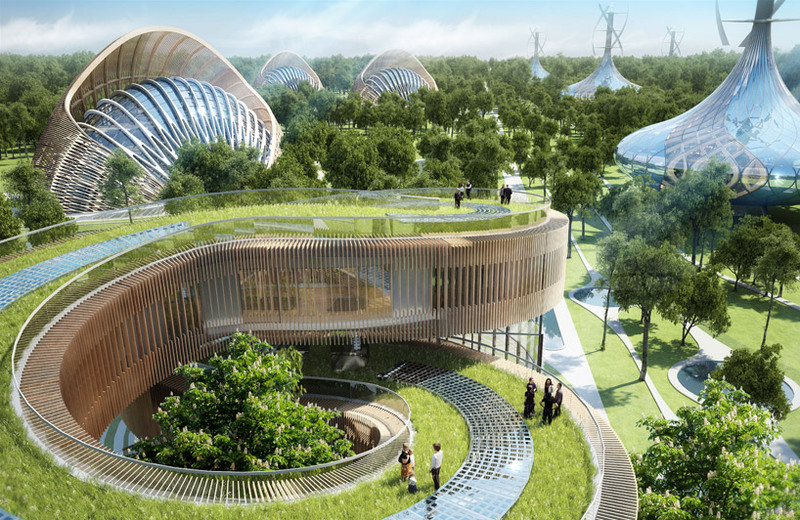 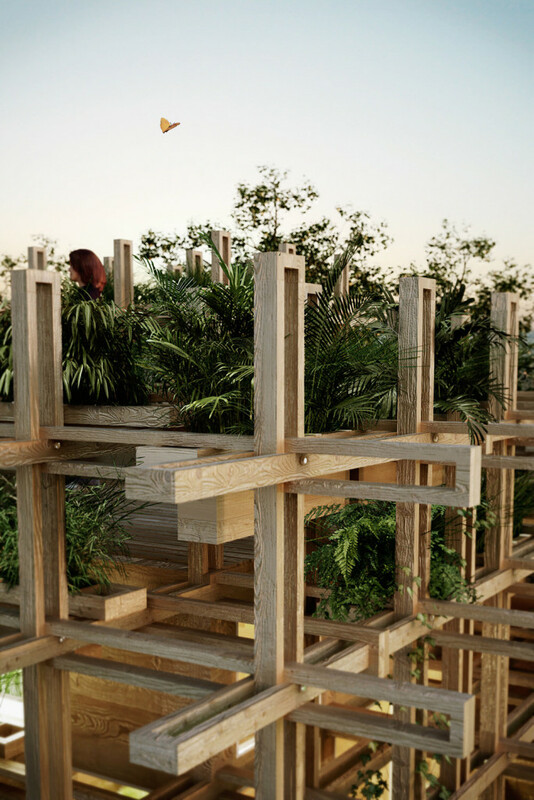 Penda’s visualisations depict their Gardenhouse concept in a secluded rural setting, but the green aspect of the design could have a real positive impact on urban environments by reintroducing natural elements. 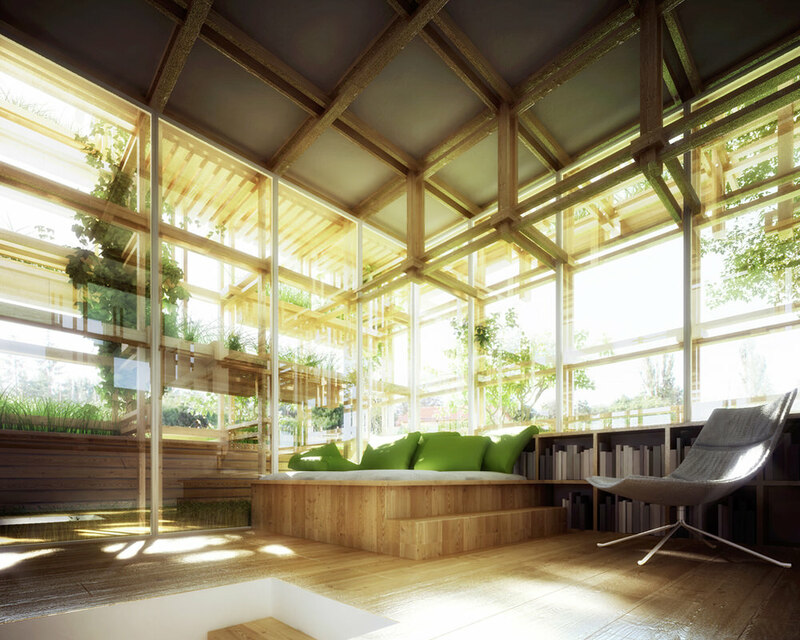 Furthermore this greenery creates a degree of screening from the outside world, offering privacy to the inhabitants while still allowing plenty of natural light to emanate throughout the open plan interior. 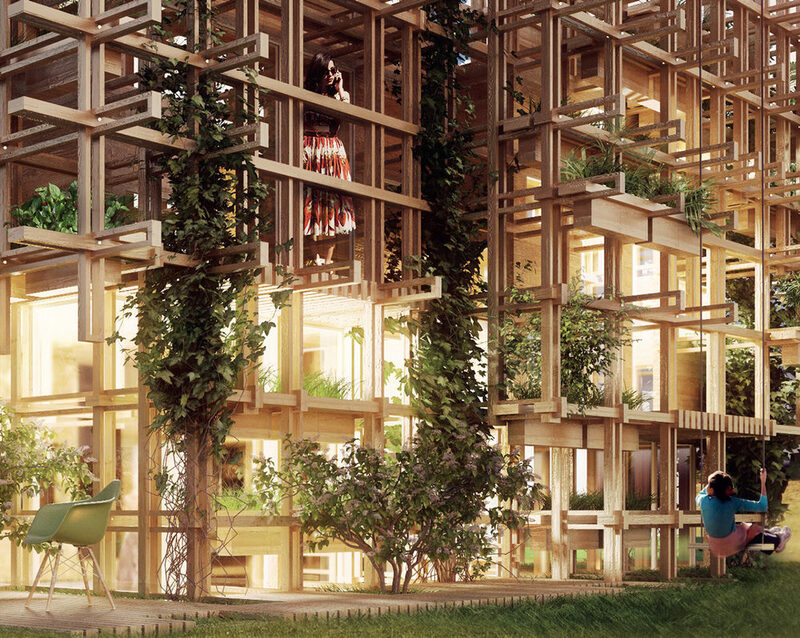 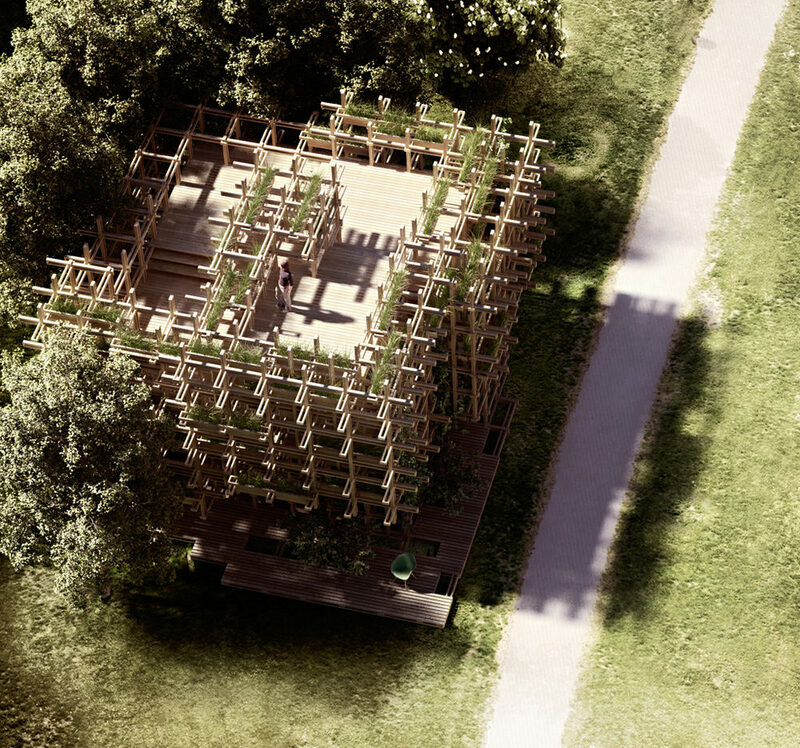 The gridded structural framework of Gardenhouse is composed of a complex interlocking module that loops amongst its adjacent connections in 3 dimensions. 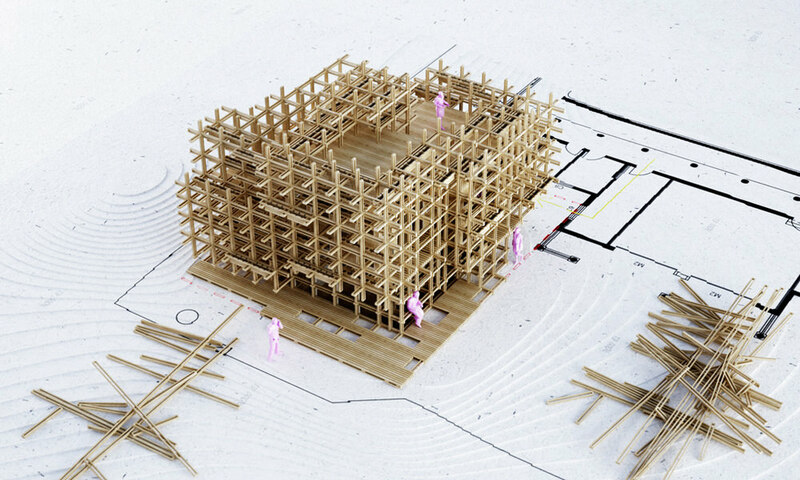 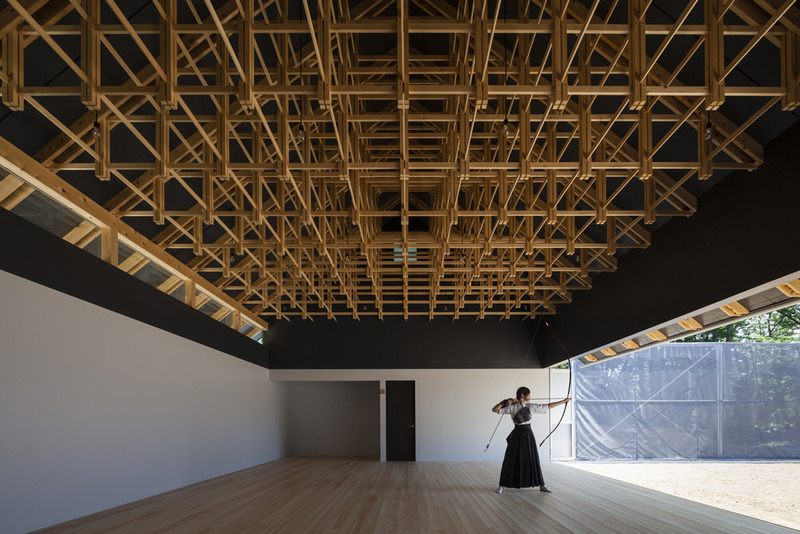 The recursive nature of this joinery is somewhat similar to another fascinating structure we’ve seen in the past on Homeli: the kyudo archery hall by FT Architects.